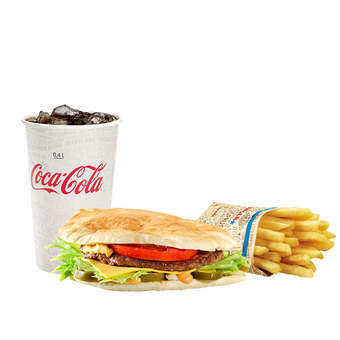 We give Kebab-burger a warm welcome to Hesburger´s menu! 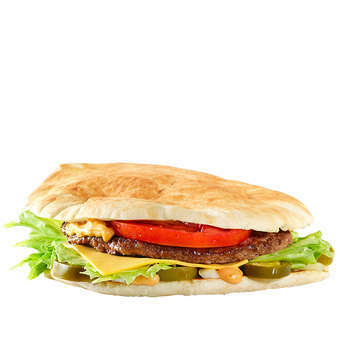 Between the pita bread you can taste a kebab-seasoned beef patty, iceberg lettuce, jalapenos, onion, cheddar cheese, and tomato. To complete the delicious burger we added Hesburger's famous paprika and chili mayonnaise.